A documentary about the popular danish commidian Anders Matthesen, shot between 2012 and 2016. Anders Matthesen's hilarious second stand-up special from his 2003-tour. A one man stand up show about Anders Matthesen searching for his true identity - Anders. After a few years with music and movies, Anders Matthesen is back doing what he does best: classic stand up. Anders Matthesen's stand-up comedy show from his 2004 tour. 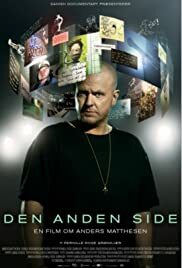 Anders Matthesen shines in this solo stand up special debut showcasing a wide array of the memorable alter-egos he's created over the years.